The iOS 7 app switcher is incredibly slick, and after years of insufferable, barely-there, half-baked multitasking, certainly hasn’t arrived before its time. As well as being functionally sound, the new app switcher also looks the part, but as with any aspect of iOS, there’s always room for improvement where the jailbreak community is concerned. 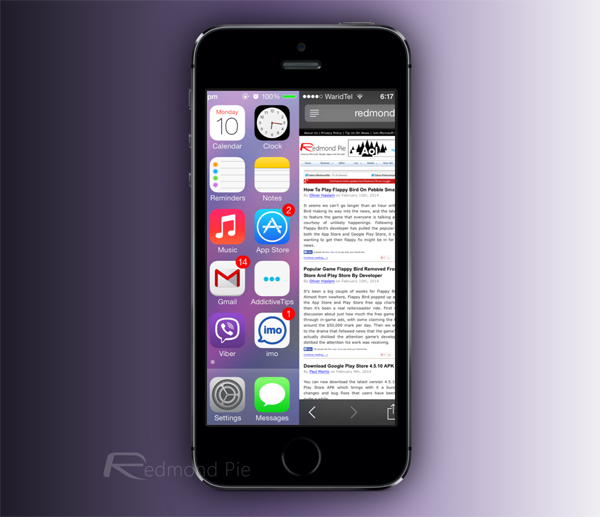 A new, free tweak over at the BigBoss repo enhances the experience by bringing full-screen previews to the app switcher, making full use of your device’s display real estate. Check it out after the fold! The tweak, which is appropriately named FullscreenPreviews, naturally requires iOS 7, but once installed, will augment those previews to full-screen mode. In the past, Apple has implemented new features that have felt grossly limited for no apparent reason, such as the old multitasking bar, or the folders feature in iOS 4. But while the app switcher feels like it has been around for a few generations and runs in a rather seamless, polished manner, the number of tweaks relating to it so far suggests that we’d still like some more customization options at stock level. 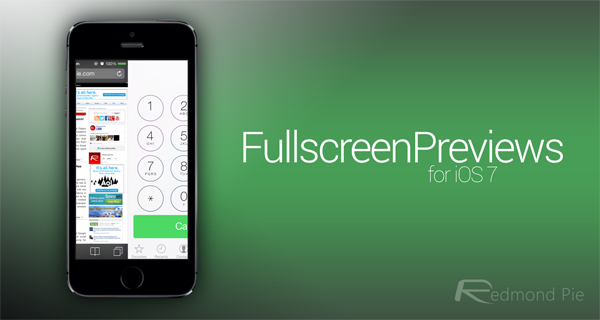 As aforementioned, FullscreenPreviews is absolutely free of charge – which is always a plus – and can be picked up from the BigBoss repository, which should reside within your default list of Cydia sources unless you’ve decided to manually remove it yourself. So, if you like the new app switcher feature of iOS 7 but wish to take it to the next level, this tweak is most definitely for you. Download it now via Cydia, and if you do happen to install it on your device, be sure to leave your thoughts and comments below. Having tested it out for ourselves, it does work as advertised, and if you prefer things in full screen, we’d highly recommend giving this one a try.